Corporate Social Responsibility (CSR) has slowly been gaining traction in the US. and Australia for the past five to ten years. Recently, I have been reflecting on the concept and why it has failed to deliver on its premise and promise. Consequently, I have shifted my thinking and now encourage companies to reconsider their current approach to CSR. Here’s why, I believe CSR is corporate focused and defined by the needs and priorities of the company, rather than employees. This results in employees being given lists of beneficiaries and charities, selected by their employer, that often do not align with the options they would make if given the choice. I propose that companies need to ensure their philanthropic agenda is not measured by near-term financial return on investment (ROI) motives. I urge companies to look through a longer lens to get a real perspective on the positive impact giving, educating and advocating can have on their brands. Research tells us that aligning your impact initiatives with your employees’ interests has a material effect on recruiting, motivating and retaining younger employees. FrontStream is the company that can help you do that because we’ve listened and adapted our products. Millennials are the primary drivers in the workforce today and we can expect them to change jobs on average eight to nine times in their lifetime, and some research suggests upwards of twelve times. Why do they change jobs so often? Data indicates they are seeking a workplace and employment opportunity that aligns more closely with their passions, beliefs and values. Millennials are focussed on things they care about and how the company is supporting them, what they’re personally interested in and giving their time and money to. Sometimes they will take a job that fits better with their objectives or beliefs over money and they tell us that they value experiences over material things - even pay. This reality is at the heart of the move from a company-centric CSR to true employee engagement, by providing an employee journey. FrontStream is leading the way in terms on helping companies with this transformation and the technology platform to make this engagement journey possible. 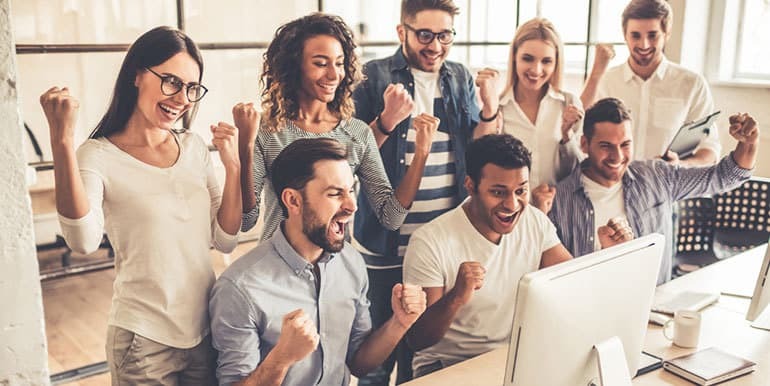 FrontStream’s engagement platform, Panorama®, enables companies to connect employees (and customers) to causes and community in a highly personalized AND collaborative manner. Enabling them to share their energy, ideas and experiences and exponentially leverage the giving of their time and money to make a greater impact. I suggest companies create forums that allow employees and customers to tell you what they’re interested in. Think outside the box in terms of collaborating with others to get things done that your employees care about. Identify and align with charities, foundations and causes that can provide the information and logistics to maximize the impact. Don’t be afraid to focus on the tougher challenges that may not provide immediate results but should, over time, have a far greater impact that elevates your brand’s social stewardship. Also, corporate leadership need to become involved and initiate discussions around giving and volunteering to demonstrate the commitment and sincerity millennials are looking for. When executive leadership is involved and engaged we can point to results where participation by employees went up by over 40%! That’s a big deal. If you don’t have an employee matching gift program, think seriously about starting one. We’re seeing remarkable results from companies that align their matching gift programs with employee giving and volunteering. For instance, we see companies match employees’ contributions on a 1:1 basis for those charities that align with their identified impact areas and at 20 cents on the dollar for those that aren’t. By doing so, the company is sending a clear signal to employees that they encourage all giving and creating an ‘impact incentive’ to do so.